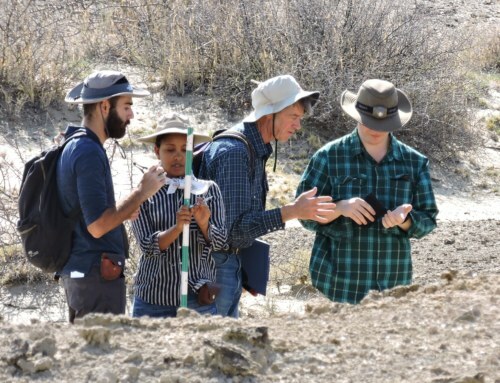 During the Field School, students have class Monday through Saturday, with Sundays off for rest and relaxation. Often, Dr. Martins will organize Sunday activities for those students who crave a little more excitement on their day off. 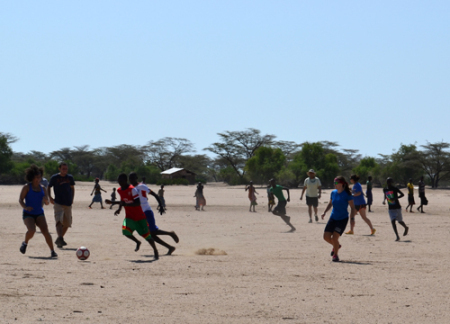 Last Sunday morning, all fifteen Field School students, plus several members of the TBI staff, headed to nearby Nakweperit Primary School to play a friendly game of football (soccer for our American readers) with local students and villagers. 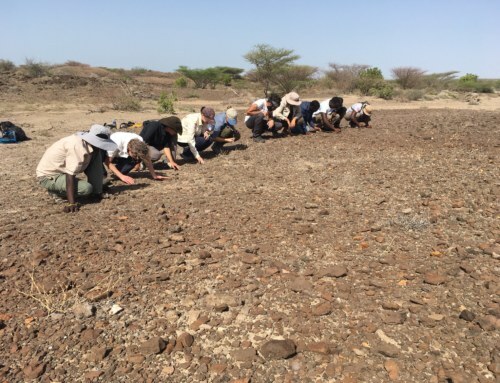 Field School student Letty was on photography duty and took all of the lovely photos in this post – thanks, Letty! 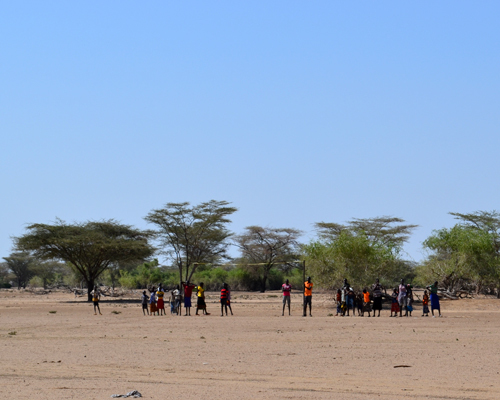 After we arrived, Team TBI Captain Peter led players through some warm-up exercises. Team TBI stretches before the big game. A cheering coalition watched and offered support from the sidelines. Lucy, Sara, and Abby smile and watch as Team TBI runs laps around the field. 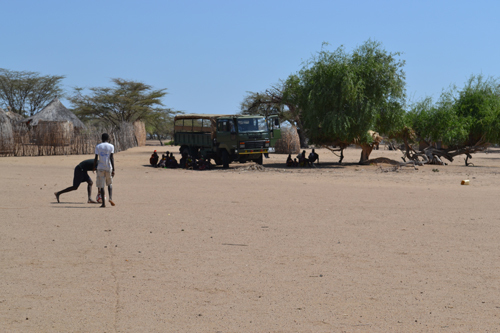 It was already quite warm outside, and several local Turkana enjoyed the shade provided by the TBI lorry. Taking advantage of a little bit of shade. Before we knew it, TBI vs. Nakweperit was off to a roaring start! Play begins! Melina gets in on the action. Several Team Nakweperit supporters stood and watched the game in the Team TBI goal. I do not think they were very optimistic about our chances of scoring! Watching the game from between the goalposts. Many Nakweparit students too young to play in the game enjoyed watching from the sidelines and meeting the Field School students. 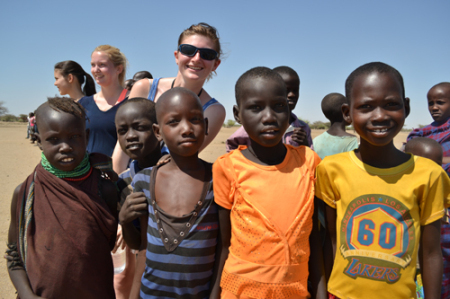 The younger children love having their picture taken and always want to see how the photo turns out. 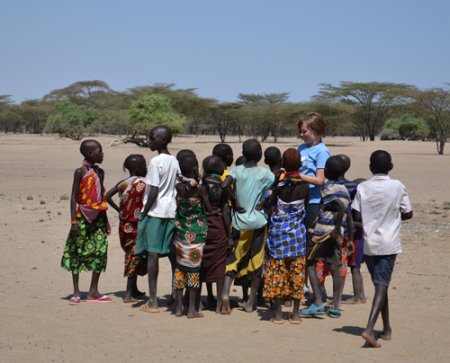 Lucy shows a group of primary school students a picture she took of them. Other primary school students started a game of their own. 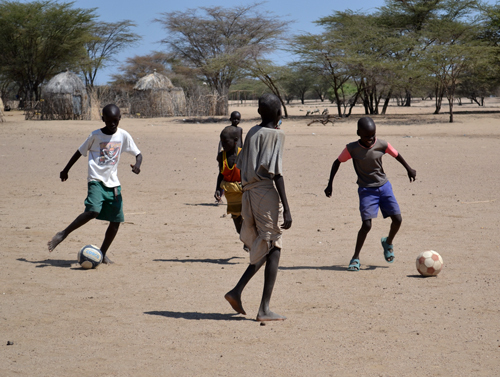 Local Turkana boys play a game of their own on the sidelines. 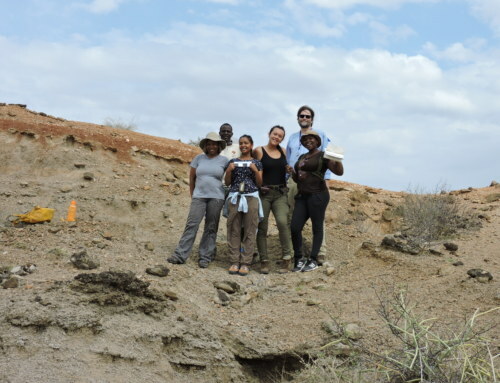 Several Field School students displayed amazing feats of athleticism. Alex and Melina sprint off down the field. At the half, Team TBI took a break to hydrate, talk strategy, and play with the primary school students. Cooling off after an intense half. 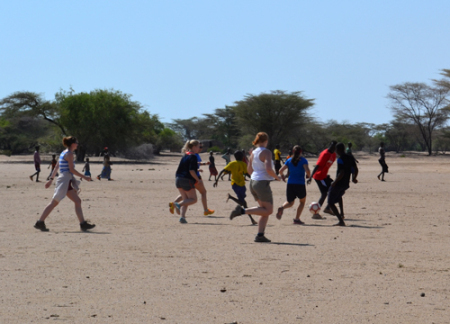 Sara and Megan (Team TBI goalie) kick the ball with a group of local students. Stacey makes some new friends. Play resumed, and the game was heating up! Melina scored on a penalty kick and Captain Peter led the team closer to victory. Maggie goes after the ball. In the end, Team TBI won 4-3! 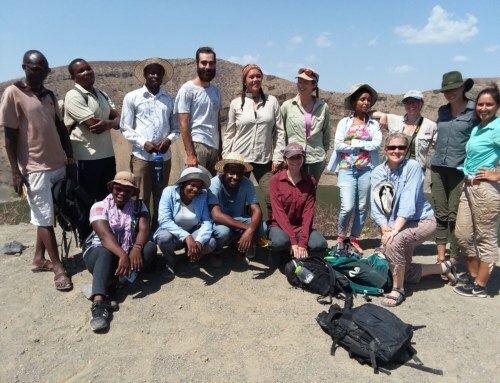 Dr. Martins reports that this is the first ever win in the history of the TBI Field School! What a talented bunch we have this semester! After the game, Field School students spent some more time playing with the primary school students and then got to meet the Nakweperit Primary School Headmaster. 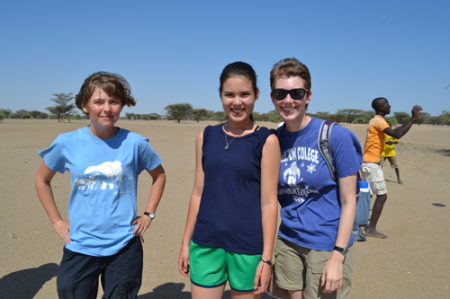 Nakweperit students pose for a picture. Great fun was had by all. 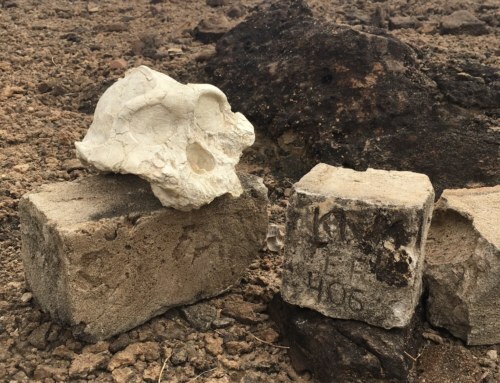 Several Field School students immediately asked when we could come back and play again. 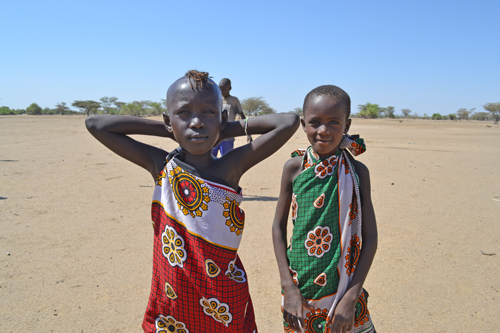 Two Turkana girls after the game. 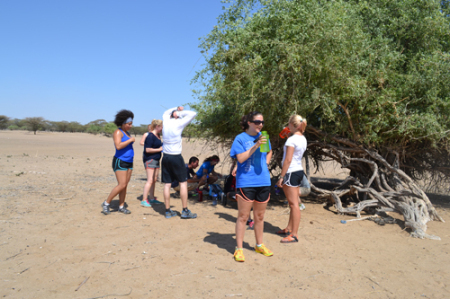 We headed back to TBI-Turkwel for some much-needed showers and lunch. The students enjoyed a leisurely afternoon and a movie before dinner – all in all, a pretty excellent Sunday!